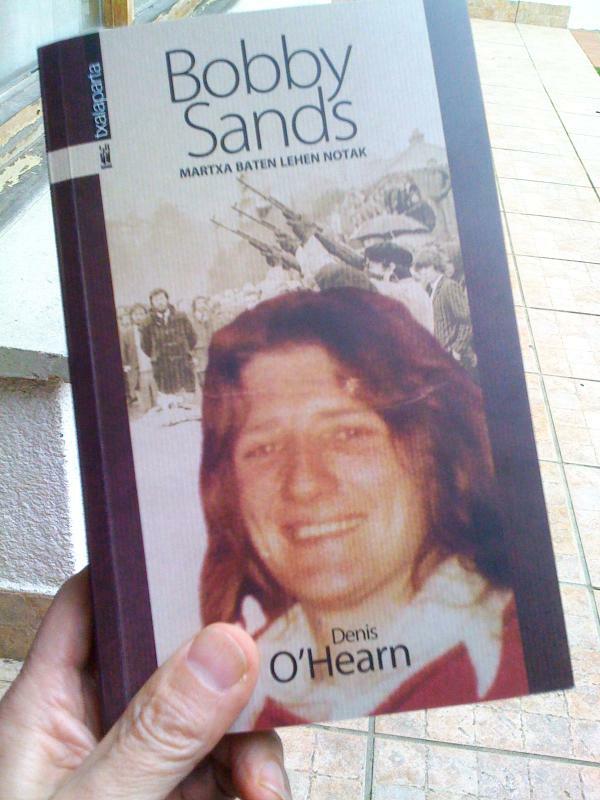 French writer Julie Duchatel recently spoke by telephone with Basque prisoner Aitzol Iriondok who along with his comrade Jurgie Garitagoitia has translated into Euskara (Basque) Denis O’Hearn’s biography of Bobby Sands, Nothing But An Unfinished Song. Written by Denis O’Hearn and published in 2006 Nothing But An Unfinished Song has already proven to be a powerful book that leaves no-one indifferent as to the subject as soon as one read its first pages. The biography is so special that it was translated into French in 2011, in Turkish in 2014 and in Basque (Euskara) recently by two Basque political prisoners held in France: Aitzol Iriondok and Jurgi Garitagoitia. Such a barely believable dedication is in fact a fair tribute to Denis’s work and especially to Bobby Sands and his comrades who died in 1981, as well as to all the Irish republicans. 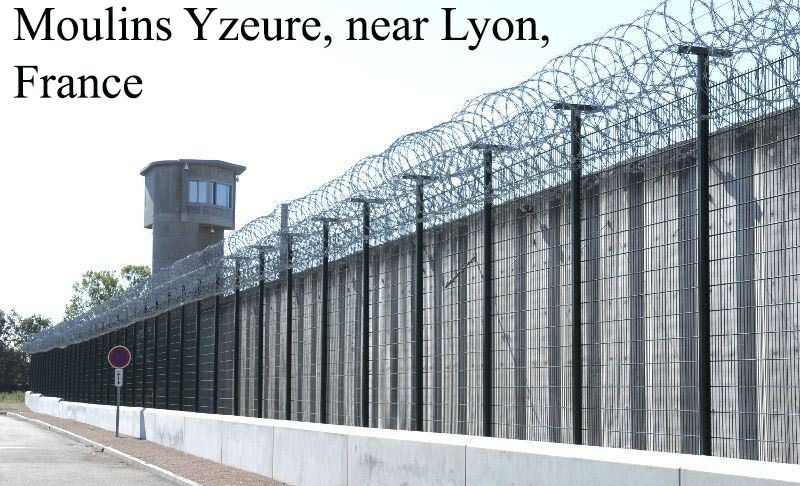 I spoke on the phone to one of the translators, Aitzol, who is now held in Moulins Yzeure, near Lyon, France. 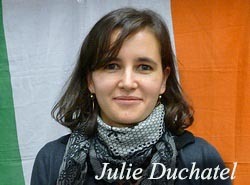 Julie: Could you please, Aitzol, introduce yourself in a few words, as well as Jurgi, your co-translator? Aitzol: My name is Aitzol Iriondo, I am a Basque political prisoner held in France since 2008. Before being arrested, I lived several years clandestinely. Before that, I studied biology in Bilbao. Jurgi is incarcerated in France since 2009 and is currently studying the Basque linguistic and language in jail. We met at the Bois d’Arcy prison, near Paris, in 2009 and became good friends. Julie: How did you get the idea of translating into Euskara the Bobby Sands biography? Have you been in Ireland before? Aitzol: In fact, in 2011, we read in the Iparralde-based Basque newspaper, Ekaitza, an article presenting the French version of the Bobby Sands biography. Another inmate, a Corsican political prisoner held in the same jail as us, bought the book through Ekaitza, read it and passed it along to us. We really enjoyed it and another comrade said, half joking, that we should translate it into Euskara. Our first thought was that it was one of the craziest ideas we’d ever heard! But after some time, we realised that it was actually a very good idea and that it would be important reading for Basque people and especially, at least to me, for all our comrades that are locked in Spanish jails. I thought that they should get the opportunity to read and experience directly this wonderful book in their mother tongue, i.e. Euskara. The Basque people are pretty familiar with Irish history especially until the Good Friday Agreement, which inspired the Agreement of Lizzara Garazi in 1998. Personally, I’ve never been in Ireland but one day, I hope to be. Julie: Could you tell us a bit more about the translation process considering it has been done under such difficult circumstances? Aitzol: We started in March 2012 and finished the translation in January 2013. We sent the manuscript outside to be edited by a friend of ours, Mitxel Sarasketa, then the edited translation got back to us. We had a look at it and sent it outside again for a second edit. Mitxel’s friends, among them Arkaitz who holds a degree in Euskara studies, did that job. The thing is that while we were translating, we didn’t have access to the internet, of course. That complicates the translation since you are not able to check numbers of facts and expressions. We only had a dictionary with us. Our translation is based on the French version but also we had the original version to help us out through the process. Then once the editing was done, through Mitxel, we sent the manuscript to the main Basque publisher, Txalaparta. A huge work has been done and I do know that the people, outside, who edited our translation, gave a lot of their free time and a lot of love, by the way. Julie: What do you think is so special about the book? Aitzol: There are many stories in this book: the accounts about freedom fighters, the struggle within the jail, the right to speak your own language, the work among and for the communities when Bobby was free for a few short months. There are some books that are a lifelong inspiration, this one is definitely part of that category. The chapters I like the most are the ones towards the end of the book, they are very ‘strong’, the ones where Bobby is sure about going on hunger strike and certain that he’s going to die. I also particularly enjoy the sections related to education and the way Denis O’Hearn transcribes the individual and the collective transformation of men and women into devoted activists. The capacity Denis has to synthesize all the accounts and all the relevant elements for the story is amazing. I am fascinated by the way the Irish political prisoners, led by Bobby Sands, were able to organise themselves under the most strict rules in jail and their capacity to raise and maintain a good spirit there, their capacity too to take autonomous decisions without outside interference. Julie: What was specifically the reward of doing such a job in jail? Aitzol: To me it is like a string you’ve created and you get tied to it for a long time. And it influences your daily routine. During the 10 months we were working on the translation, we worked at it every single day. And we improved our French and English and reinforced our Euskara. At the end of the translation, we were very tired but very happy and satisfied. Julie: Did you get any feedback regarding the publication of the book in the Basque country? Aitzol: I know that it has been a best-seller and topped the charts for two weeks according to a right-oriented newspaper El Correo, so that is very good. A book launch was held two months ago in Donostia along with Mitxel, Eoin Ó Broin (Sinn Féin) , the Txlaparta director of publications, and my mother, and it was a very special day. Some people who visited me told me how moving and important this book is. So that’s all good.